[SatNews] A British Internet Service Provider, Satellite Internet, has launched a new low-cost equipment rental scheme, offering new customers a chance to connect to satellite broadband in an affordable way. 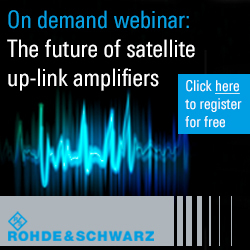 The rental plan, which comes on a two-year minimum contract at only 12.50 pounds per month, removes any upfront equipment charges, meaning it has never been easier for customers to get connected via satellite. Satellite Internet is a specialist satellite ISP serving homes and businesses in rural and hard-to-reach areas all over the UK and Eire. Based in London, while offering a national installation service, Satellite Internet has extensive experience in low-cost satellite broadband for consumers and SMEs and can offer download speeds of up to 20Mbps. The terminal equipment set comes complete with a Dish with Az/El mount, Transceiver, Satmodem, 30m RF cable between Transceiver and Satmodem, Ethernet cable to connect to a computer or router, 240v mains power supply and CD documentation. As well as the 12.50 pounds per month terminal equipment rental cost, customers will also be able to select which service package to subscribe to, with prices offered from only 9.95 pounds per month. Standard activation and installation costs will also apply. Satellite Internet is backed by SES Broadband Services, a 100 percent owned affiliate of Europe’s leading satellite operator SES, and boasts flexible and fast installation options, a UK Fixed IP address and TV, WiFi and VOIP options. As well as renting, new customers can opt to buy their equipment for 269 pounds for 30 days or 229 pounds for a one-year contract. 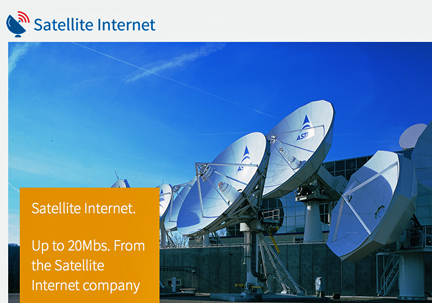 For more information on Satellite Internet’s rental plans, please access this direct infopage link.